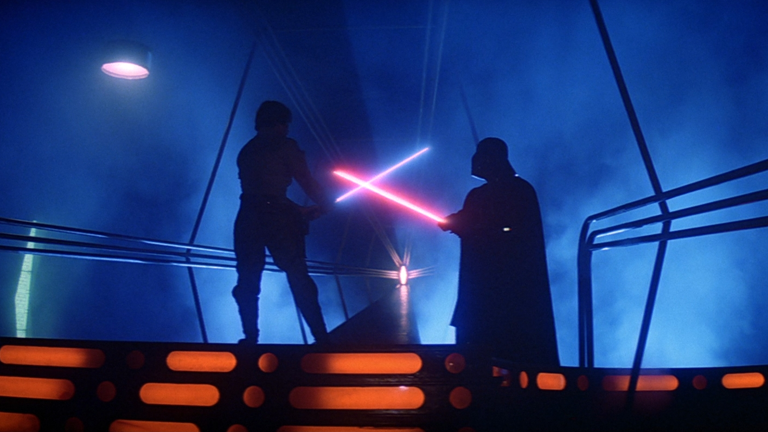 Is the original Star Wars Trilogy actually any good, or are childhood memories playing tricks on us? Since 1977 when the A New Hope was first released, Star Wars has been not just a cultural phenomenon, but a fixed point onto which memories of simpler, more innocent times can be pinned. Everyone remembers the first time they saw Star Wars, whether it was with a parent in the cinema, or on dusty VHS during a long summer holiday. Check out all our other awesome Star Wars content here! I too can vividly remember the first time I saw Star Wars. Because completely inexplicably, it was only earlier this year that I, after 28 long years, got around to catching up to see what all of the fuss was about, before The Force Awakens opens on December 17th. And this got me wondering: Does this enable me to judge the films more objectively? Can I burst through the Star Wars bubble and explain how your love of Han and Chewie are all just illusions created during childhood? Or can I reassure you that no, the trilogy does stand up to scrutiny? What's perhaps slightly weird is that there isn't really a good reason why I've never watched the trilogy before. My parents weren't monks who thought moving pictures were witchcraft, and I was raised on a healthy diet of superhero films… and for literally all of my life, as someone who grew up in the UK and existed in the world, Star Wars has been there like the cultural equivalent of microwave background radiation. So the big question: Do they stand up or are you wearing rose tinted glasses? I thought Episode 4 was pretty good - though I wish someone had asked R2 to simply duplicate the plans as it would have saved a lot of hassle. It was also strange to see the original Cantina scene, given that it has been recreated shot-for-shot so often. Episode 5 was, in line with most fan opinion, the best of the three because of the surprisingly complex and not entirely happy ending (even if Vader being Luke's father would be seen as a bit hacky in a post-Spectre world). The weak link though - and don't hate me for this - is Return of the Jedi. Poor pacing (how damn long did we spend in Jabba's boring cave at the start? ), stupid Ewoks and worse puppets. The blue elephant thing? Really? The introduction of Emperor Palpatine as the “big bad” of the trilogy makes little sense too, given that all he does is undermine Vader's position as the ultimate scary bad-guy... before getting chucked down a hole. Perhaps controversially, I'd argue that as films, Back to the Future is the superior trilogy. The truth is though, is that it is impossible to watch Star Wars with any objectivity - even if you're watching nearly two decades after your peers. And this is because of the persistent sensation of deja vu. From C-3PO and R2-D2 wandering Tatooine with the Death Star Plans through to partying with the Ewoks, I felt like I'd seen it all before. Despite not having seen the source material before, pretty much everything else I'd consumed contained homages, references and parodies of the films. Heck, hearing '3PO utter the words “let the Wookie win” in its real context was strange given how those words had been burnt into my mind in its use as a sound-effect in the Age of Empires inspired strategy game Star Wars: Galactic Battlegrounds. And so even though I can perhaps see that the films in isolation are fun but flawed works, being able to feel the contribution that Star Wars has made to our pop cultural canon embeds a deep appreciation within me almost by osmosis. When in the first teaser for The Force Awakens, I heard John Williams' iconic score and watched Harrison Ford say “Chewie.. We're home”, I experienced the warm buzz of nostalgia… even though at that point I had no idea what they had returned to. Though the films might first have premiered a long time ago, and culturally far, far away from where I am now, I've come to realise that Star Wars is bigger than any one (or six) films. It is part of the very fabric of our culture. You can write off a film, but as a phenomenon it is more powerful than you can possibly imagine.